A combo pack of a nail shaper, nail buffer, and cuticle cleaner. 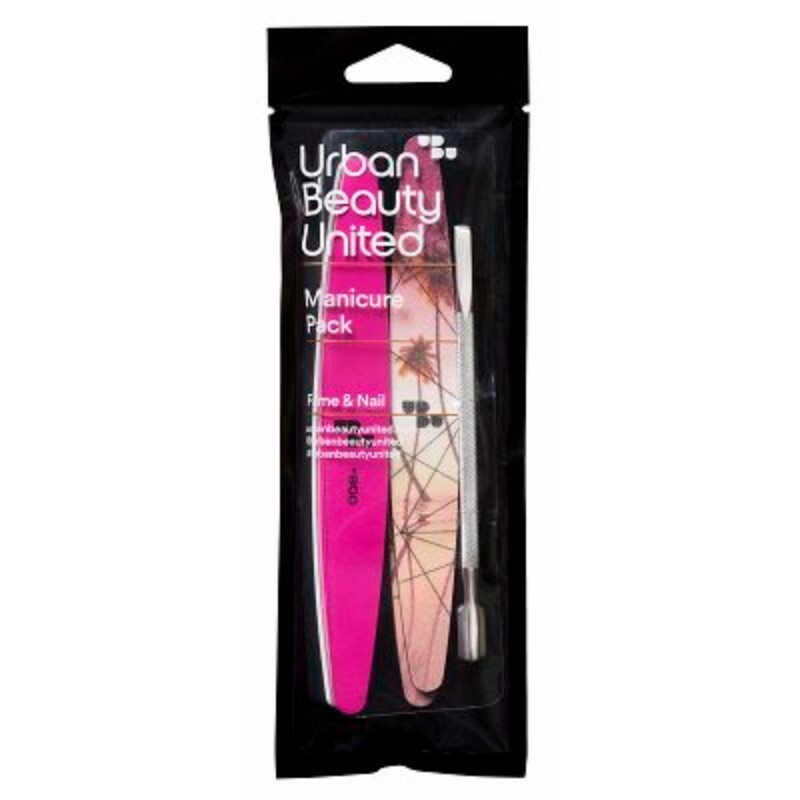 The nail file helps provide perfectly shaped nails. The buffer polishes nails making enamel stick longer. 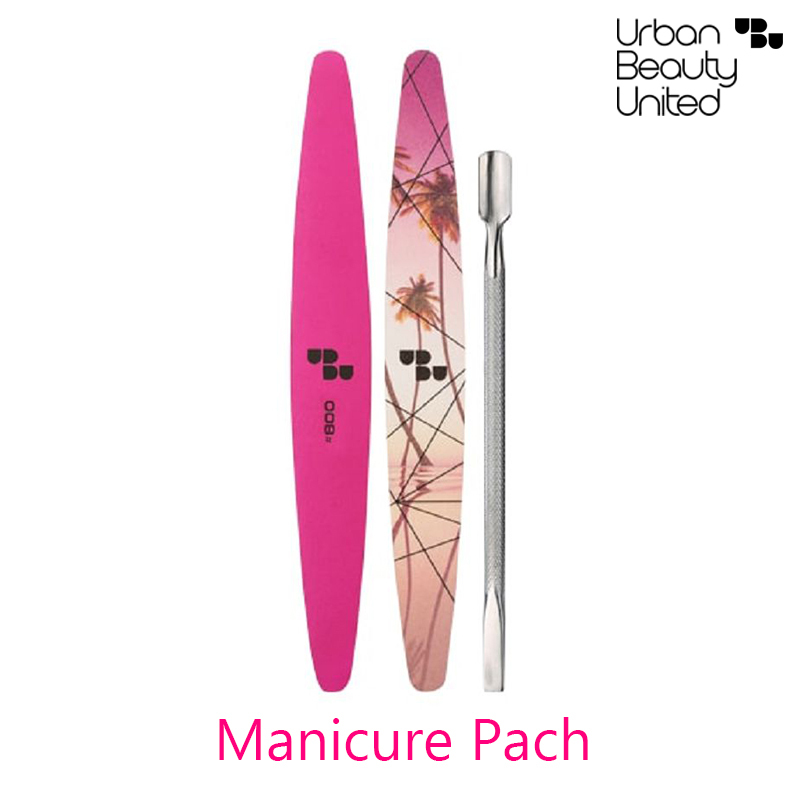 The cuticle cleaner helps clean cuticles and keeps nails clean and speck free. Step 1 - Use the file to gently shape the corners and smooth the nail edges. Step 2 - Use the buffer to smoothen and polish the surface. Step 3 - Use the cuticle remover to get ride of dead cells and unwanted build up.